Producer service industries mainly provide service for agriculture, industry, trade and some other service sectors. 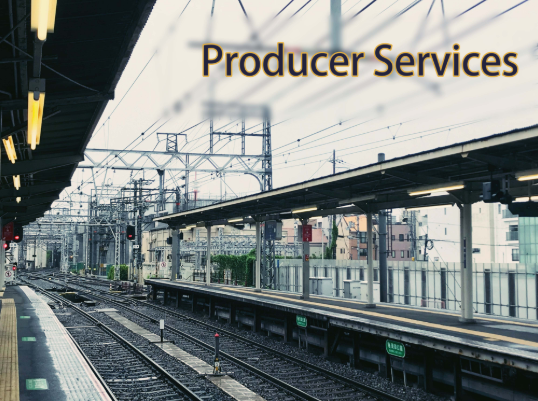 Producer service industries include transportation, logistics, postal express, wholesale and retail, information service, scientific and technological service, business service, financial service, energy conservation and environmental protection services. The development of producer service industries are related to the efficiency of economic operation, economic growth and structural optimization, playing an important role in the upgrading and competitiveness improvement for agriculture, industry and trade. From the perspective of development stages, some of producer service industries in China have become relatively mature with large scale of operation, such as transportation, logistics, wholesale, retail, finance and business; while some of them are still in the start-up stage, such as information service, data service, science and technology service, industrial design, E-commerce logistics, distribution, energy conservation and environmental protection services and some other emerging service industries. In view of their development in recent years, producer service industries have grown rapidly, mainly due to the swift advance of industrialization, marketization, information technology, globalization and urbanization. Industrialization has deepened industrial division of labor, and many production enterprises have outsourced their service projects. Marketization has stimulated market vitality, leading to a more effective combination of resources and factors. Informatization has enabled companies to apply digital technology, and enhanced their capacity to connect production, circulation and life through playing a strong linking role. Globalization has attracted more and more multinational service companies to move their head offices to China, which has brought about a strong spillover effect on the development of local service industry. Urbanization has expanded the scale of producer service industries, accelerating the integration of urban and rural services. Many cities in China have attached importance to the development of producer service industries, and these industries account for a high proportion of local GDP. For example, Shanghai has set high store on science and technology service, business service, financial service, international shipping and logistics, and is focusing on the building of a global center for scientific and technological innovation, an international financial center and an international shipping center. Shenzhen has put great store by information service industry, creative industry, logistics industry and financial industry. Some inland cities in China have vigorously developed trade, logistics and information services, so as to enhance their ability to connect themselves with the world for further development. Many cities and regions in China have formed some service industry regions or industrial clusters. It should be noted that in general China’s producer service industries are still lagging behind the economic and social development demands, and are not well interacted with agriculture, industry and trade. With regard to their development, producer service industries are still in the growth period with much room for development. As for transportation and logistics, although the market size of China’s transportation and logistics ranks the first in the world, most of the market entities are small, scattered and weak. The market order is not standardized enough. Competition in road freight is excessive but is insufficient in railway transportation. International express delivery, agricultural product logistics, medicine logistics, aviation logistics and reverse logistics are rather weak. Looking into the future, China’s producer service industries boast a great potential for development. Because China’s economy will continue to grow at a relatively high rate, the industrial and consumption structures will continue to be optimized and upgraded, and international trade will continue to expand. In the future, some development trends will emerge in producer service industries and be featured by systematization, digitization, quality-orientation, customization, platformization, environment-friendliness, internationalization, centralization, inclusiveness and cross-sectoral integration.